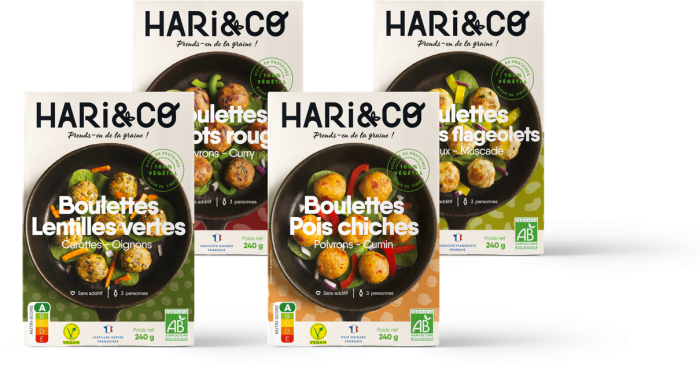 HARi&CO green lentil no-meat balls contain green lentils harvested in France and deliciously paired with carrots, onions, and spices. Guaranteed organic and 100% plant-based, our no-meat balls will supply your body with the fibres and proteins it needs. They are just the thing for a healthy and delicious diet! 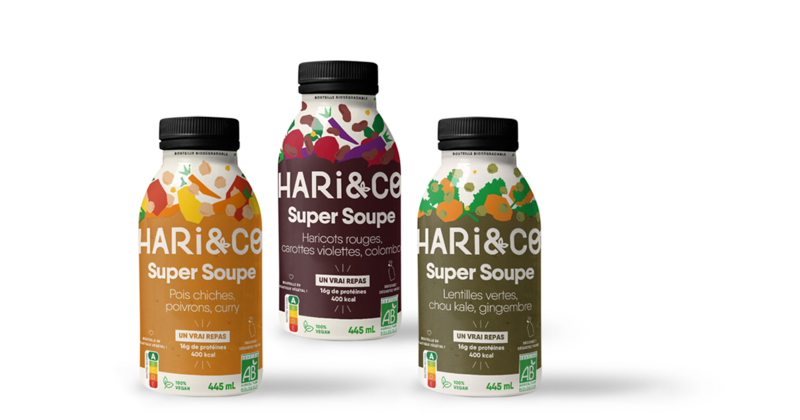 Carefully selected, the ingredients that make up our recipes are healthy, natural, and flavourful. Your well-being is our priority, which is why our ingredient list is simple, short, and entirely organic! 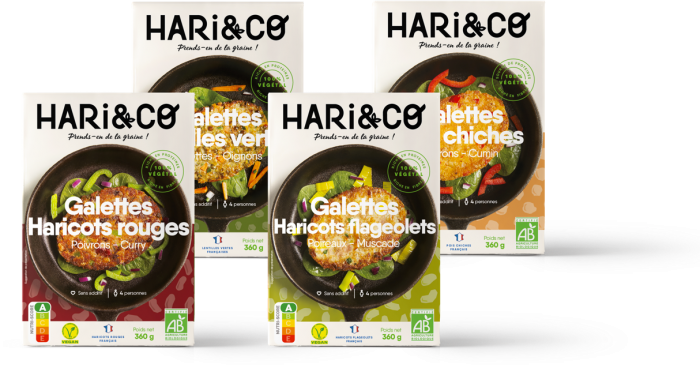 Green lentils (50%)*, cornmeal*, wheat semolina*, wheat flakes*, carrots (5%)*, sunflower oil*, cauliflower*, wheat flour*, onions (3%)*, sea salt, garlic*, Provencal herbs*, mint*, cumin*, pepper*.